I am so thankful that we have such great friends (with great connections). Last year, Sarah was able to go to Disney on Ice with Elsie Tate and this year, she was invited to go with Jessie. 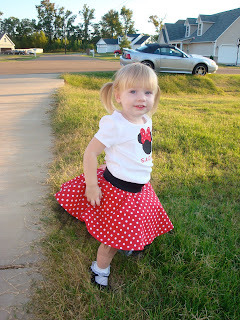 Which of course called for another adorable Disney on Ice outfit! Last year she wore her first tutu to the show and of course she was adorable. This year, Annie and I had more time to plan and more creative resources at our fingertips, thank you Pinterest for the ideas and Jen and Laura to help us pull them together! So since we worked so hard on their outfits to wear to the show, I kept joking that Cody couldn't be born until after Disney on Ice because I wasn't going to miss it. She's old enough this time that she could really watch and enjoy the show and I didn't want to miss out on seeing her light up. However, we should all know how that turned out. Luckily, my mom came to town a couple days early so that Sarah wouldn't have to miss the show. Both of them had a great time! Mom said she was absolutely mesmerized by the skaters and the lights and music. She sat with a big smile on her face for the entire first act. Of course during the intermission she discovered the joy of the stairs in the suite so those kept her occupied during the second act. But she came and sat with Grandma during the big finale when the all the characters came out. Jessie is much better at cooperating for pictures so I wanted to show the whole outfit put together. 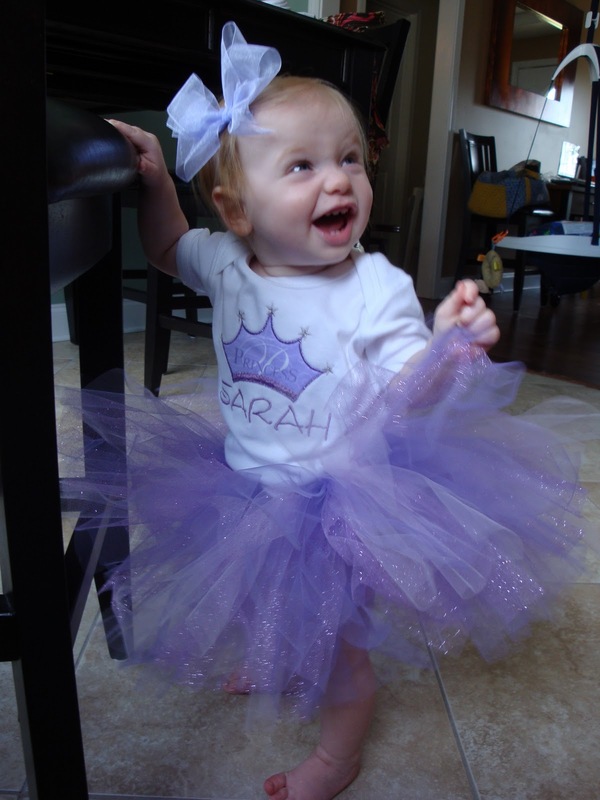 Isn't she the cutest little girl! Grandma said she heard lots of ooohs and ahhhs from passers by as they headed to the suite. She said them both being dressed in the same outfit just doubled the cuteness. Before the show, trying to get her to stop and look at the camera for a picture.